How old is Tom Holland? Tom Holland was born on 1 June 1996 and is 22 years old. Where was Tom Holland born? 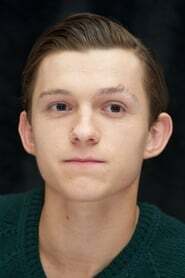 Tom Holland was born in Kingston upon Thames, Surrey, England, UK. How many movies has Tom Holland been in? Tom Holland has been in 23 movies . How many TV Shows has Tom Holland been in? Tom Holland has been in 3 tv shows . How many movies has Tom Holland directed? Tom Holland has directed 1 movie .